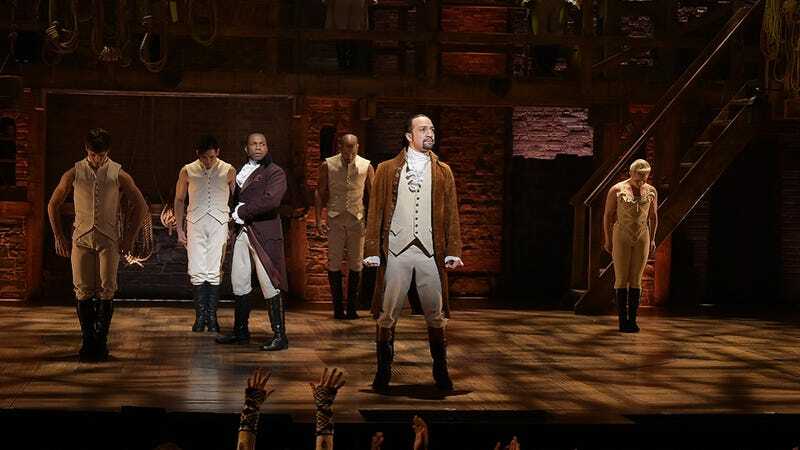 After a mass shooting at a gay club in Orlando during the early hours of Sunday morning that left 50 casualties and 53 wounded, the cast of the musical Hamilton will not use prop guns during their Tony Awards performance tonight in the wake of the tragedy. “The muskets have been eliminated from tonight’s performance in light of today’s event in Orlando,” said Hamilton spokesperson Sam Rudy in an exclusive interview with Deadline. Lin-Manuel Miranda, the star and creator of the musical expected to sweep this year’s award show, also tweeted his condolences in the form of a rainbow-striped heart, with “Orlando” as its caption. In addition to the last-minute adjustment, the producers of the award show decided to dedicate their 69th broadcast to the victims of the massacre.